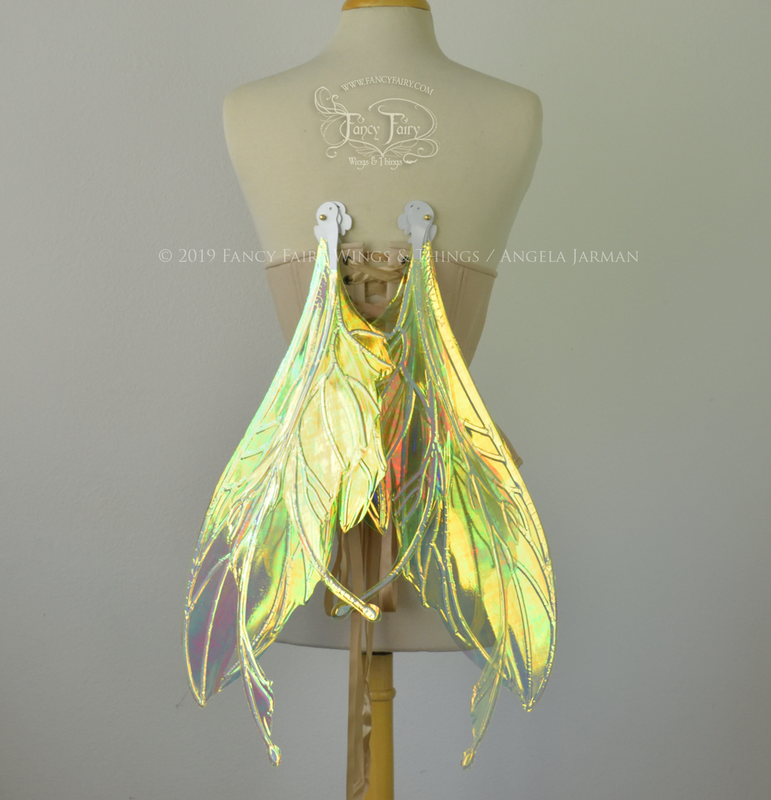 I’m adding a set of Datura convertible fairy wings in Neon Yellow, and a set of Nightshade wings in Berry to the sale tomorrow, Monday March 25 at 8pm PST. Below are the Datura wings, the Neon Yellow is exceptionally bright! The edges seem to glow, and I hear it might even be UV light reactive although I can’t confirm that yet. Last is the Nightshade design, done in Berry iridescent film which is a magenta-ish film with a blue/green shine. 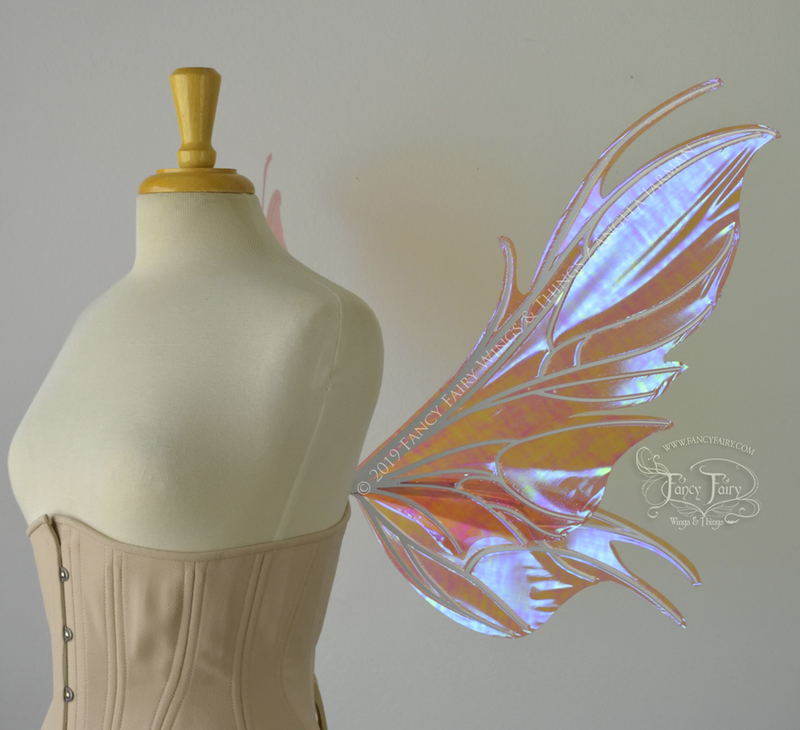 Both have pearl white veining, and as with the Elvina and Pansy wings there will be 2 sets in each listing.